It’s one of the strange things about making a movie: you can create entire worlds inside a computer and have winged dragons facing off against giant fire-breathing robots, but you can’t show someone dialling a real phone number on screen. Or at least you can, but only if you like lawsuits from people sick of being harassed over the phone by over-eager viewers dialling their number. Even if the number your hero punches into his phone doesn’t exist at the time of release, there’s nothing to say it might not be in use in 20 years time. This is why the 555 phenomenon exists. Ever since the 1950s, when you see someone dial or recite a phone number, chances are it’ll start with the numbers 555. This is because numbers beginning with this code are reserved exclusively for use in works of fiction. 555 was introduced as a way to curb prank callers dialling numbers seen in movies way back in the 1950s, those specific digits chosen because the combination of J, K and L, the letters assigned to the number 5 on a phone, are not associated with any major American states. ‘KLondike 5’, as it was known due to the exchange naming convention (or sometimes 'KLamath 5’), was the easy way to address a telephone number on screen while avoiding nuisance callers. Today, only the numbers 555-0100 through 555-0199 are reserved for fictional use, although some of the older numbers gained notoriety for their repeated use – sort of like a numeric Wilhelm Scream. 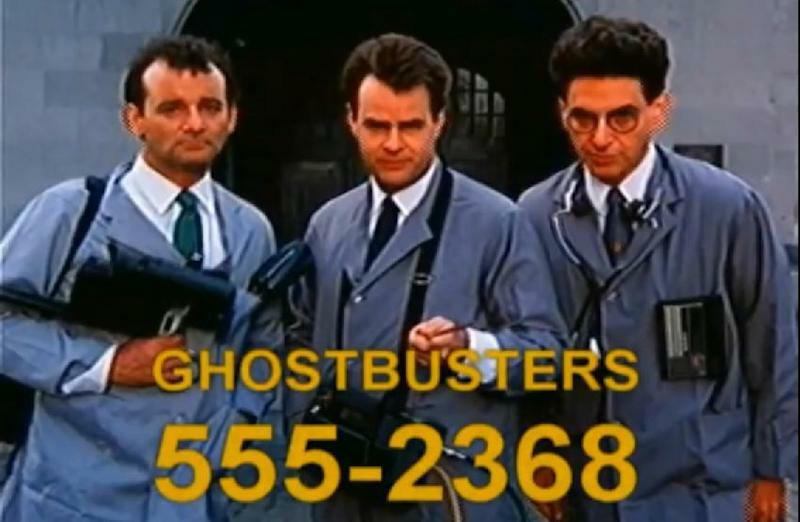 555-2368 was popular after it was used as the 'Ghostbusters’ TV ad hotline, but it also appeared in 'Memento’, ‘Fight Club’, TV show 'The Rockford Files’, 'The Mod Squad’ and others. 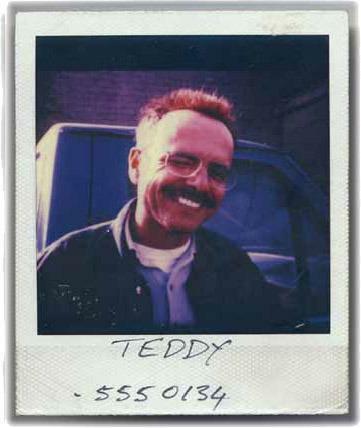 Coincidentally, Teddy in ‘Memento’ shares the same 555 number with ‘Fight Club’s Marla. Once you know about 555 numbers, you can’t stop seeing them. It’s right there in movies like 'Die Hard With A Vengeance’, when Simon Gruber sets John McClane the task of dialling 555 plus the number he’s thinking of to stop the detonation of a bomb. 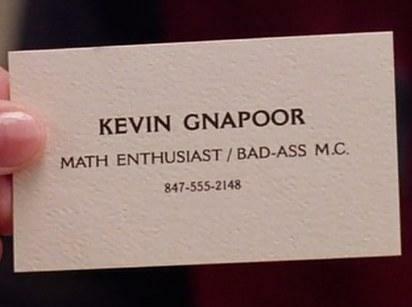 It’s right there in 'Mean Girls’ on the mathlete’s business card. Dominic Torretto’s phone number in 'The Fast And The Furious’ is 323-555-6439. It’s even there in both forms in 'Back To The Future’, first given as Jennifer’s grandma’s phone number in 1985, before Doc Brown gives his own number as “KLondike 5-4385” back in 1955. Don’t think it’s a problem? Neither did the makers of 'Bruce Almighty’, who included a real seven-digit phone number that worked in a few select US States. Allegedly, dialling the number seen on screen connected you to a real chap called Bruce in North Carolina, a pastor no less. For the movie’s home video release, the number on Bruce’s pager had to be replaced with a 555 alternative and the line mentioning it was dubbed. That would have cost a pretty penny. Special effects artists on David O. Russell’s boxing epic 'The Fighter’ had a unique challenge when the director tasked them with creating a CGI napkin. Why? Because Amy Adams’ character wrote her phone number on a real napkin but it was a real number that couldn’t be used. Rather than digitally replace it with a 555 number (“The director didn’t want to actually show an obviously fake number like that on screen,” says SFX whiz Josh Comen), the effects house had to composite a different number on the napkin and obscure it with creases. A lot of effort for an effect that perhaps 1% of people will notice. The existence of 555 numbers in entertainment has now become well enough to be spoofed in the very movies that use them. Most famously, meta Arnie blockbuster 'Last Action Hero’ featured a scene where the trope was lampshaded (“I will bet that everyone has a 555 number. There can only be 9999 numbers that start with 555. How many people live in L.A.? Eight or nine million!”), while some comedies out and out parody the extension number. Jewsaaploitation comedy 'The Hebrew Hammer’ features a character whose phone number is 555-55-555-55555, while 'Scott Pilgrim Vs The World’ character Lucas Lee dials 555 with the barrel of his gun in 'You Just Don’t Exist’, one of his terrible in-movie movies. 'The Simpsons’ Police Chief Wiggum gets the last word on the 555 farce in classic episode 'Burns, Baby, Burns’, when he traces the number of a kidnapper and reads it aloud (“555… Aww geez, that’s gotta be phoney!”) before tossing it in the fire.